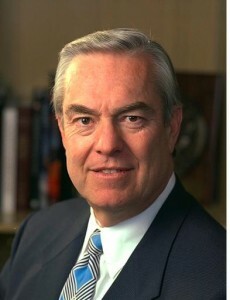 – Emmy and Peabody winner Bill Kurtis has a new gig: he’ll host a show on the new Decades network called Though the Decades, a weekday strip recalling the events of historical significance between the 1950s and 1990s, beginning in May. The series plans to draw from the vast resources of CBS News and Entertainment Tonight libraries for material. A partnership between CBS and Weigel Broadcasting, Decades is scheduled to launch this spring, though in Milwaukee, Decades is getting a soft launch as of today on one of WDJT’s subchannels, airing marathons of programming in the CBS library. Kurtis is best known of course, for his co-anchoring stint at WBBM-TV with Walter Jacobson, which rode the top of the ratings charts in the late 1970’s and early 1980’s. Both men reunited to do the station’s 6 p.m. newscast from 2010-13. In addition, Kurtis has done TV commercials, did voiceover for Anchorman, and ran his own production company, which produced programming such as Cold Case Files, which he also narrated. – In the 30 years yours truly has followed the syndication business, I can’t remember a weak selling season such as this one. So far, only two shows have been pitched to stations for next fall: Crimewatch Daily and The Fab. No clearances have been announced after outside of their launch groups, and no other first-run new strips have been announced. With that said, Trifecta Entertainment has renewed first-year court show Judge Faith for another season. Seen locally over The U Too at 9 p.m. weeknights, Faith recently posted a series-high 0.8 household rating. Faith’s renewal means five of the seven first-run strips have been renewed with Intelligence For Your Life and Judge Mabelan the only holdouts, but those are also expected to be picked up for next season, so it’s a clean sweep. A few older series are on the fence such as Who Wants To Be A Millionaire and possibly Rachael Ray. But with the lack of new first-run programming options for next fall, their chances of coming back are halfway decent. – Remember last year when ABC announced it was pulling the plug on digital subchannel Live Well Network in January 2015? Well, it just got a stay of execution – for now. An item posted on Green Bay ABC affiliate WBAY’s website (which is also a Live Well affiliate) noted Disney isn’t closing the channel as planned and is continuing operations for the time being.No new date has been set for dissolution of the network, and no new programming is being produced. Live Well appears on digital subchannels of eight ABC-owned stations, including WLS-TV in Chicago. Some stations have already dropped Live Well, including KMOV in St. Louis, WHBF in Rock Island, and WTMJ in Milwaukee, which replaced it it with Cozi on Monday. 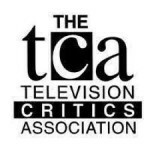 – The Winter TCA Press Tour is taking place this week in Pasadena, Ca. and this is what went on thus far: Netflix’s Chief Content Officer said he would never reveal how many viewers are watching the streaming service; CBS Entertainment President Nina Tassler echoing was her boss Les Moonves said about the unimportance of overnight ratings; Cosmos host Neil DeGrasse Tyson launching a late-night talk show on Nat Geo; and Showtime CEO David Nevins told the crowd he was preparing for the OTT (over-the-top) era. Other announcements at TCA made include Dancing With The Stars’ return on March 16, with its 20th edition and Community returns on March 17, the first ever series to premiere on Yahoo.